This is one of those jokes that hardly anyone will get –unless they’re in the know. 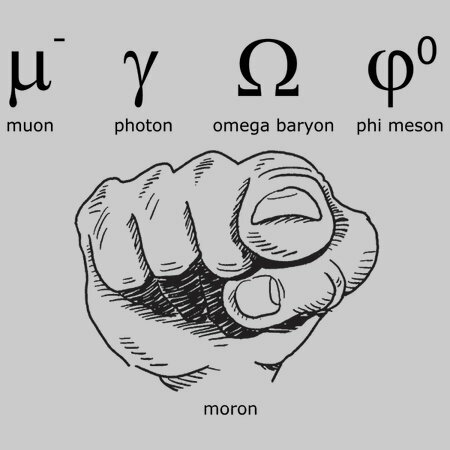 If you and your friends are particle physicists though, you know it’s only a matter of time before someone names a new quantum particle moron. 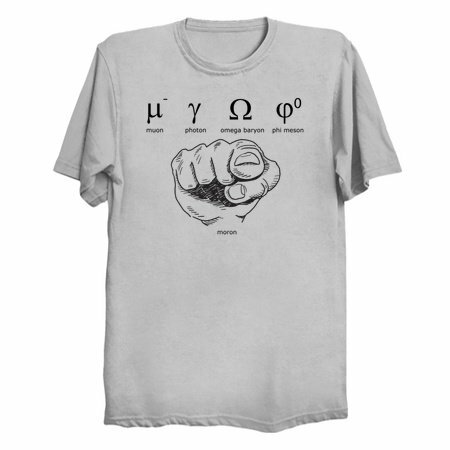 Even if you don’t get this joke, your particle physicist friends certainly will –and they’ll think you’re that much cooler for getting the shirt.